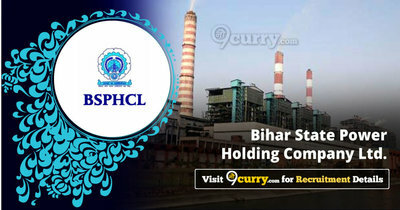 BSPHCL Recruitment 2018 - Apply Online for 400 Junior Electrical Engineer Posts in BSPHCL, Bihar on Fixed Term Basis. Online Applications are invited by Bihar State Power Holding Company Limited from 07 Jun 2018 11:00 AM to 28 Jun 2018 06:00 PM (Extended till 25 Jul 2018 till 6:00 PM) for 400 vacancies. Full time 3 years Diploma in Electrical. On the basis of Computer Based Test. Candidates log on to http://bsphcl.bih.nic.in/. Generation & Printing of Registration Slip.